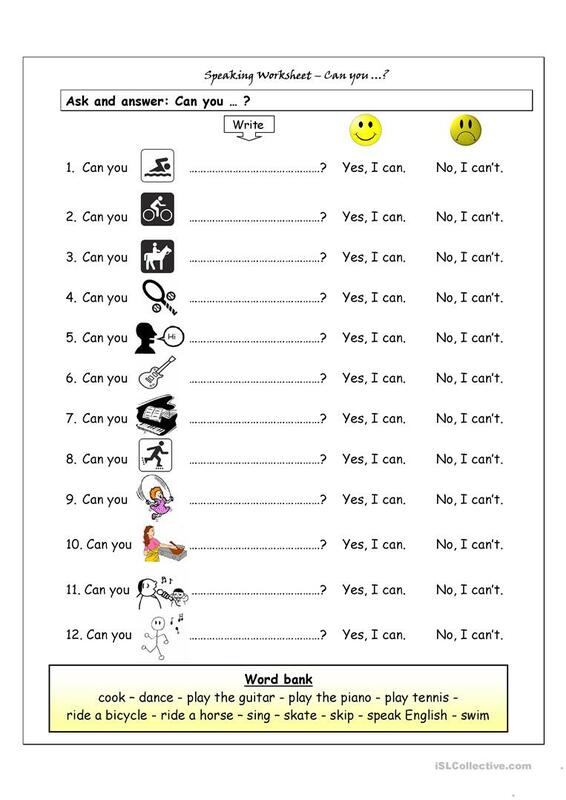 Speaking Worksheet - Can you...? Speaking worksheet for beginners with pictures. Students complete the sentences and then interview each other. Optional word bank can be easily d for stronger classes. The above printable, downloadable handout is best suited for high school students, elementary school students and adults at Beginner (pre-A1), Elementary (A1) and Pre-intermediate (A2) level. It is valuable for revising Questions in English, and is a valuable material for working on your students' Listening, Speaking, Reading and Writing skills. It features the vocabulary topic of Actions.